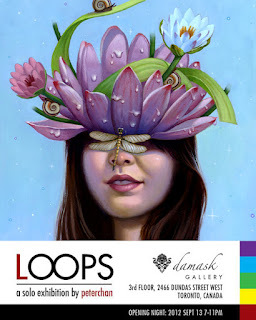 Imaginism Studios Blog: 'LOOPS' Solo Exhibition opening tonight!! Nemoland 8: Florence Sept 26 & Oct 2, 2012. 'LOOPS' Solo Exhibition opening tonight!! 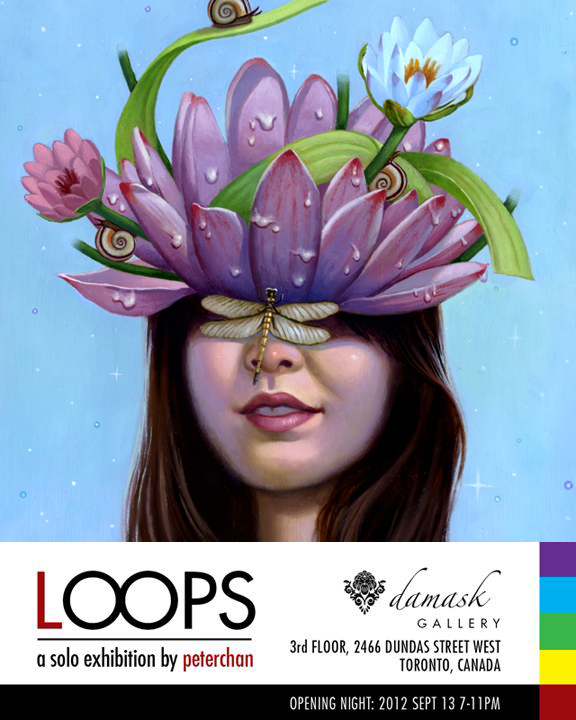 In just a few more hours, my show 'LOOPS' will be opening at the Damask Gallery, on the 3rd floor of the Dundas West Arts Building in Toronto. Here is the last promo e-flyer I am posting, reminding you of all the info you'll need - time and location! I look forward to seeing everyone there, old friends, family, and new faces! Sometimes we get stuck. We deal with our everyday little things and our big things. Time begins to blur. Without us realizing, our lives have become an incoherent mishmash, a never ending cycle. Momentarily, people are able to break free and take gulps of fresh air in a cathartic moment but quickly plunge back, still living the same repetitious patterns. This body of work represent memories of living in perpetual roller coaster 'loops' and fantasies of escapism. I want to show how malleable our nostalgia can be, changing what we remember to make us feel how we’re living today is OK. It’s not. In the end we’re just moving backwards and sometimes we get stuck.